All purchases made through the affiliate marketplace support the development of 4thevillage as a fundraising solution for schools. 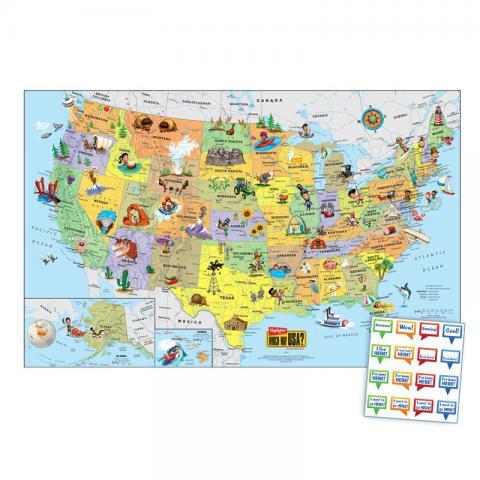 This colorful map with illustrations of state landmarks, famous residents and local activities is geographically accurate and marked with state capitals, major highways, rivers and mountain ranges. Bonus stickers included. 34" x 22", folds to 8.5" x 11"
Hola!? and Hello!? High Five Bilingue is a magazine for young children in Spanish and English based on the same character- and skill-building fun that has made High Five magazine a favorite. It's English AND Spanish Learning for kids! Each monthly issue brings 36 pages of read-along stories, poems, puzzles and crafts in both languages that set young children on the path toward lifelong learning and language proficiency. With content appropriate for beginning readers, as well as for children and adults just learning Spanish or English, High Five Bilingue engages little ones and makes them excited to learn and practice vocabulary. Every issue has 14 pages of stories, puzzles and activities entirely in Spanish, which are then repeated in English, plus several pages in both languages together. Colorful illustrations help kids understand the words and ideas in each piece.Just like with High Five magazine, children will look forward to reading new adventures of familiar characters every month, gain confidence from solving age-appropriate puzzles, and laugh along with fun stories and poems. 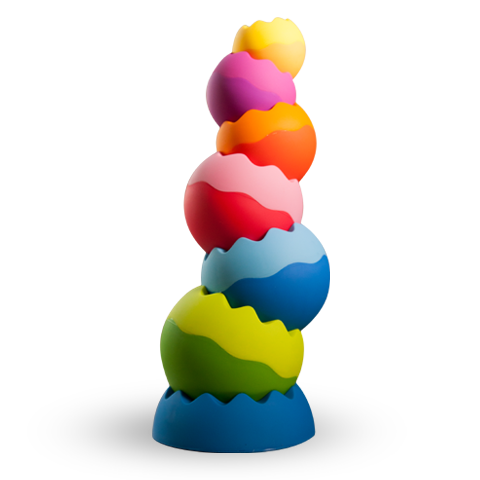 Turn Puzzlemania puzzles up a notch with Puzzlemania Super Challenge! Mazes, word games and other activities are trickier, bigger and more elaborate for even more fun and learning. 32 pages each. These books are also included in Puzzlemania Super Challenge Puzzle Club shipments. The Knowing Book helps kids and grownups feel confident in themselves and what they know to be right and true. The evocative images and lyrical text inspire readers to appreciate the journey of future discoveries, too. Hardcover, 32 pages, 8.5" x 10.5"
Shake the Robot Randomizer to determine which colors of eyes, face, nose and mouth to look for. Then scan the board for the one matching robot head. The first player to find 5 matches wins! No reading required, but hones pre-reading skills and concentration. For 2-4 Players. 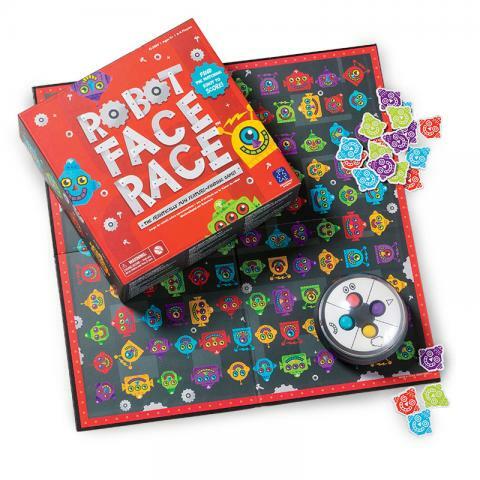 Includes game board, 20 score tokens, Robot Randomizer and instructions. Get ready to transform any object in your home into a smart device. This kit has everything you need to upgrade the stuff you own by connecting it to the internet. Control your AC from across the room, or turn the lights on and off while you_ã_re on vacation! Math Games That Are Way More Than Numbers! Packed full of mazes, teasers and other math puzzles for kids ages 7 and up, Mathmania engages children with fun activities that help them learn without even knowing it! 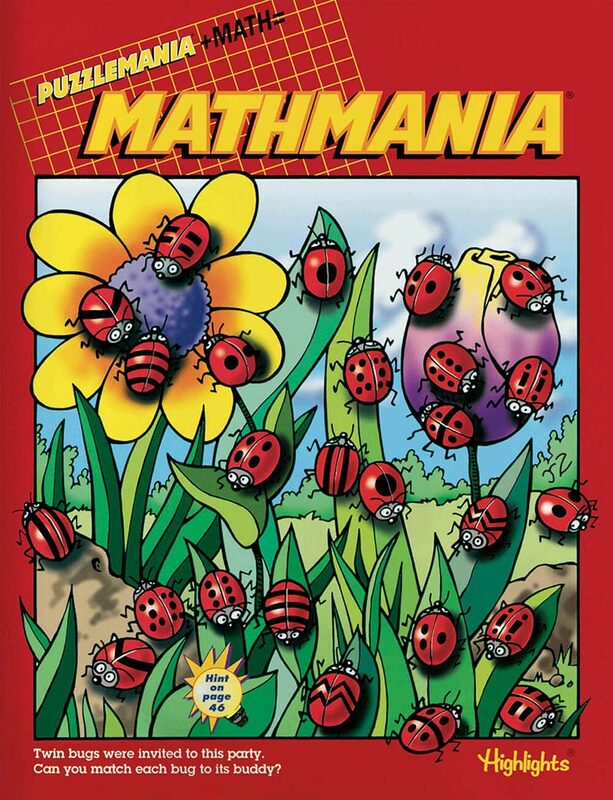 Mathmania Makes Learning Fun... So Math Skills Grow. These great math games for kids are challenging, entertaining and achievable. The perfect setup for school success. Every kid will find something he or she loves, with activities like: Scrambled pictures, Color by number, Crossword puzzles, Art Music And more. Each activity is specially designed to reinforce key math concepts and problem-solving skills, including: Patterning, Estimating, Fractions, Money, Time. The Benefits Really Do Add Up! Each book offers tons of math games for children to play while traveling, during quiet time or with friends. Young solvers will have so much fun as they: discover new ways of thinking while seeking number patterns, learn logical thinking while solving math mysteries, develop self-confidence by using hints to solve puzzles on their own. Fun with a Purpose You Can Feel Good About! See math skills grow while your child has fun. Help your child build math skills that are vital for success. 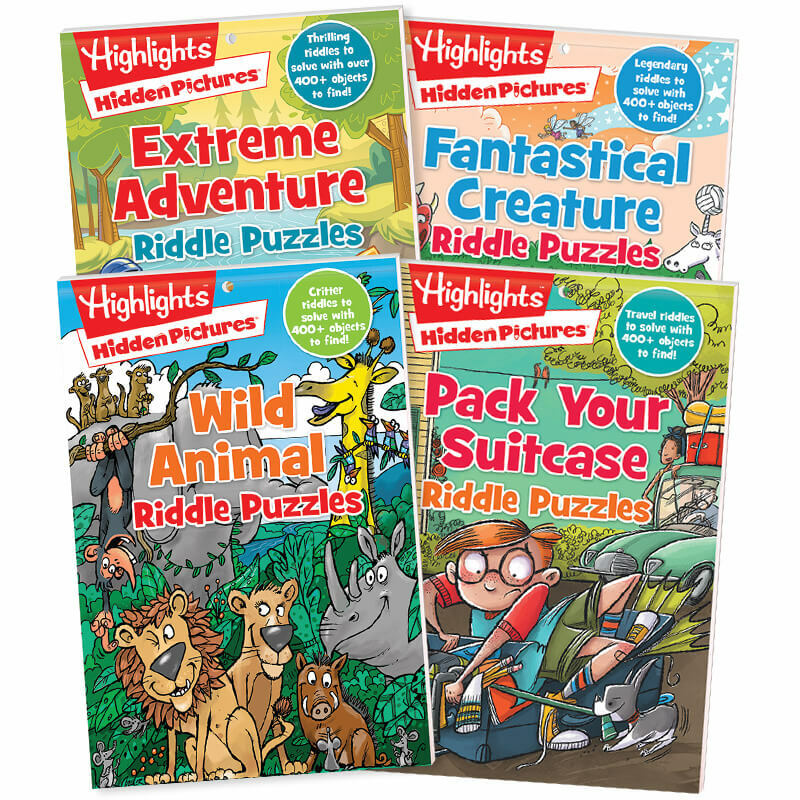 Be confident of the time-tested quality of Fun with a Purpose products from Highlights.See Features to learn more. 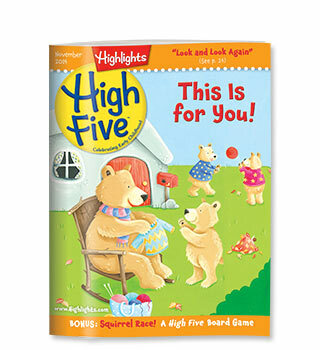 Kids Love the Magazine That's All Their Own!Your preschooler or kindergartner will love High Five? magazine, because it's designed and written just for their age group. High Five is an exciting, colorful, fun-filled magazine developed by the early childhood experts at Highlights to encourage and inspire tender hearts and curious young minds.Why Is the Sky Blue?You've probably already experienced your little ones asking questions like this ? all day long! ? so you know how inquisitive and thirsty for knowledge kids this age are. High Five preschool magazines help you encourage your child's curiosity, and they give you an ideal opportunity for one-on-one fun together.That's why High Five has stories, puzzles and activities that are expertly designed to nurture your preschooler or kindergartner's development. Every 36-page issue reinforces skills that prepare them for reading, math and other areas of learning ? 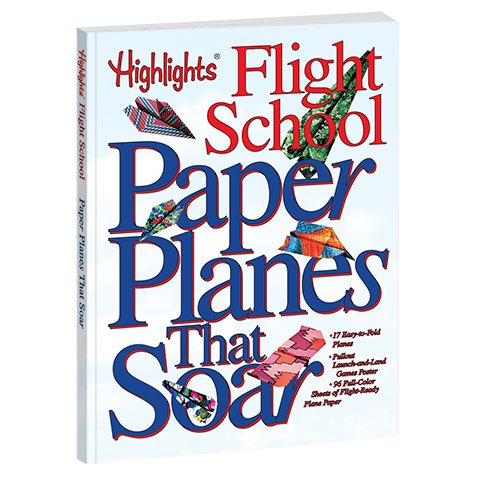 �but the kids only know that it's fun!Getting Mail Is ExcitingFor more than 70 years, children have been eagerly checking the mailbox, hoping to find a Highlights magazine with their name on it. Now, even 2- to 6-year-olds can experience that delight for themselves.They'll have so much fun with each monthly issue, which is packed with read-aloud stories and poems, simple crafts and recipes, learning games, puzzles for beginners and other activities. They're the perfect magazines for kindergartners and preschoolers! Calling all Droid Inventors! Kids can create their own Droid and bring it to life using littleBits electronic blocks! With the Droid Inventor app, they'll give their Droid new abilities and take it on 16+ missions. This littleBits education kit is the easiest way to integrate powerful STEM/STEAM learning into your classroom. It includes everything you need to engage up to 3 students and develop their 21st-century skills - including 16+ hours of lessons!